Drake performed the last show of his Light Dreams & Nightmares Tour last night in Las Vegas (Lil Wayne made a surprise performance). He celebrated the finale with an official after-party At Tryst Nightclub. 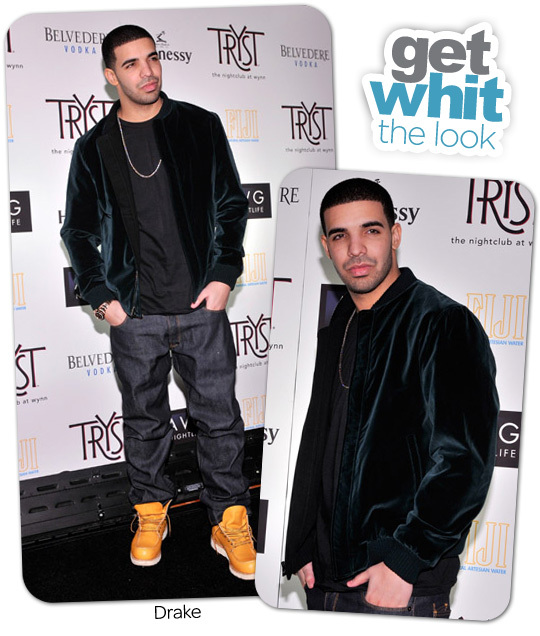 Drake wore a green velvet bomber jacket, black tee, blue jeans and Red Wing boots. 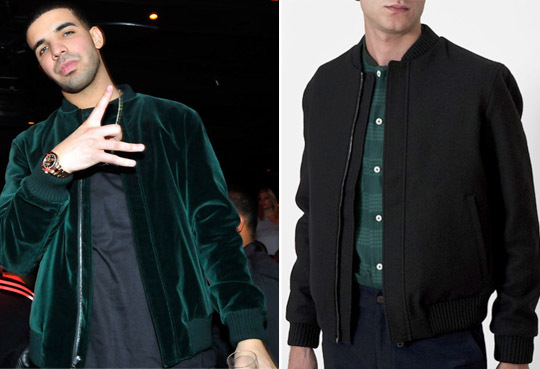 His velvet bomber appears to be the Adam Kimmel reversible winter bomber jacket ($1,025) - green velvet on one side, black on the other side.